When we first met Game of Thrones’ Bran Stark, he was a tower-climbing scamp who had a most unfortunate encounter with Jaime Lannister. 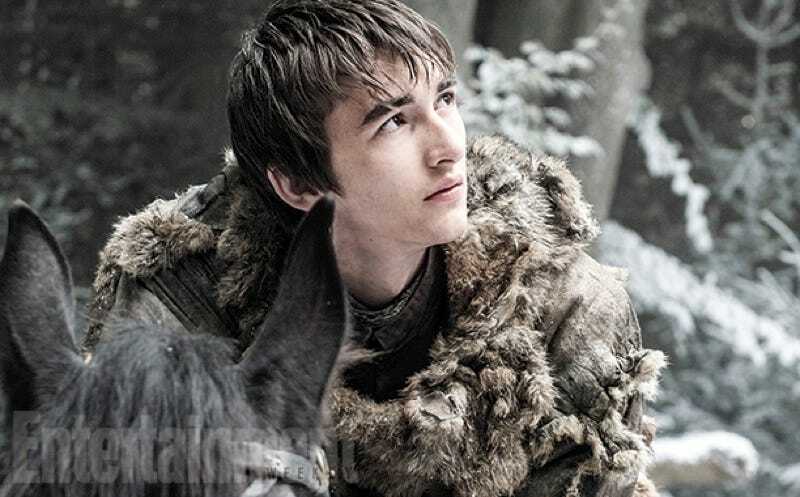 As Entertainment Weekly, which unveiled this photo, points out, actor Isaac Hempstead-Wright is now 16 years old and nearly six feet tall. Bran didn’t appear at all in season five—but he’ll be back to flex his psychic powers with the Three-Eyed Raven in season six.